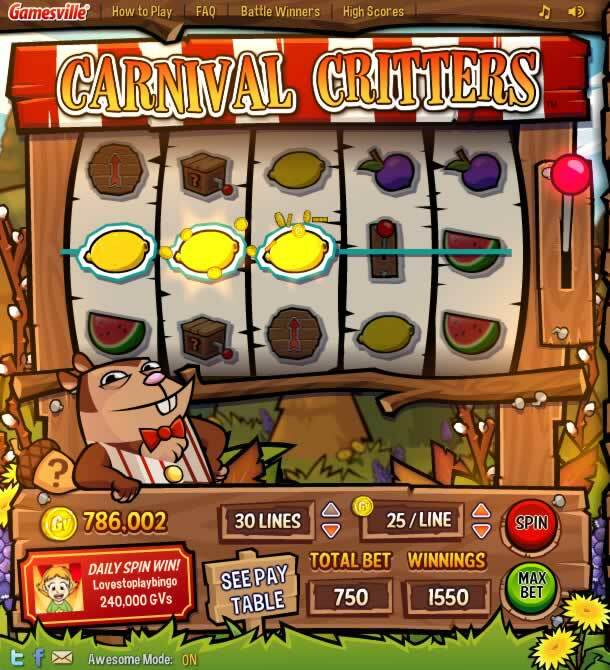 Carnival Critters is a typical slots game packed with fun features! To play, set the number of pay lines and bet amount then press Spin or pull the lever. It's that easy! 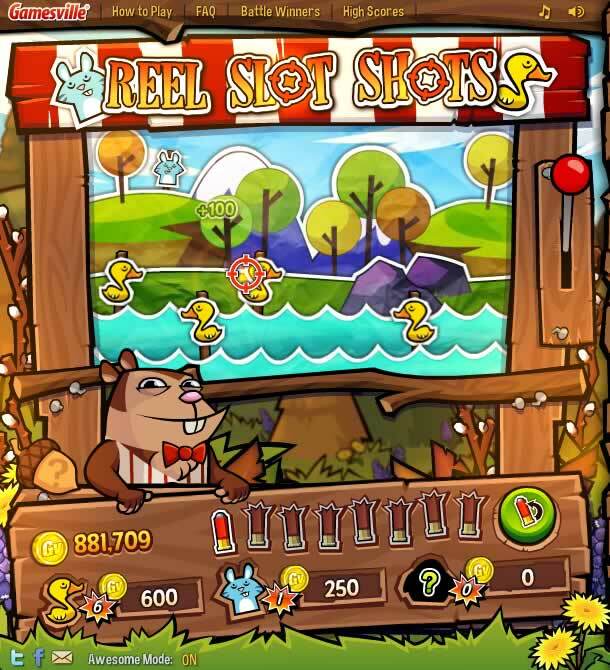 Some of the cool features you'll discover are Reel Slot Shots, Spin-O-Matic and Team Battle! 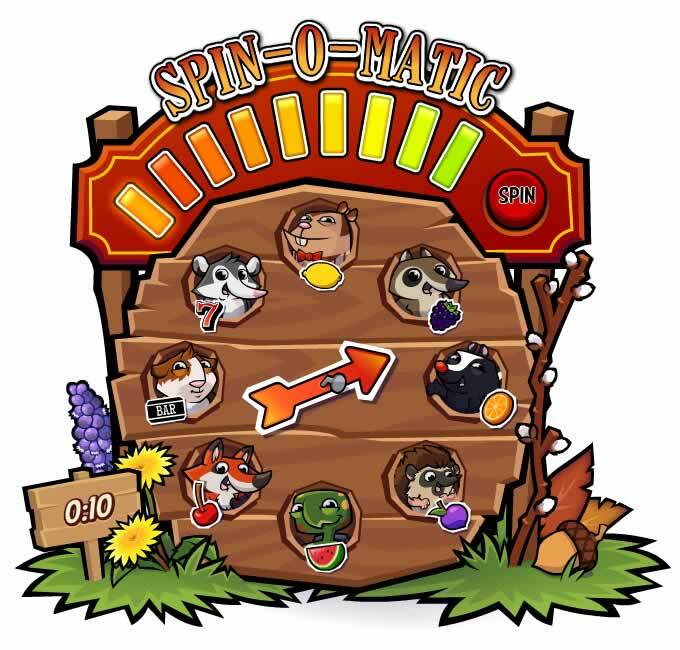 Try your luck at the Daily Spin Win - all you have to do is have the highest winning single spin of the day. If you need help while playing, simply click on the acorn with the question mark! Simply spin the wheel for a chance to win extra GVs! Use your mouse to move your cross-hairs over a target and a left-click to "shoot" them to win GVs! Press the Green reload button so you don't run out of bullets and keep an eye out for any lost GV critters! Membership has it's privileges - our Team Battle is a GV member exclusive. There is a Team Battle every 2 hours so be sure to click the join button when the timer shows under the reels. There needs to be a minimum of 10 people in a room for Team Battle to commence. 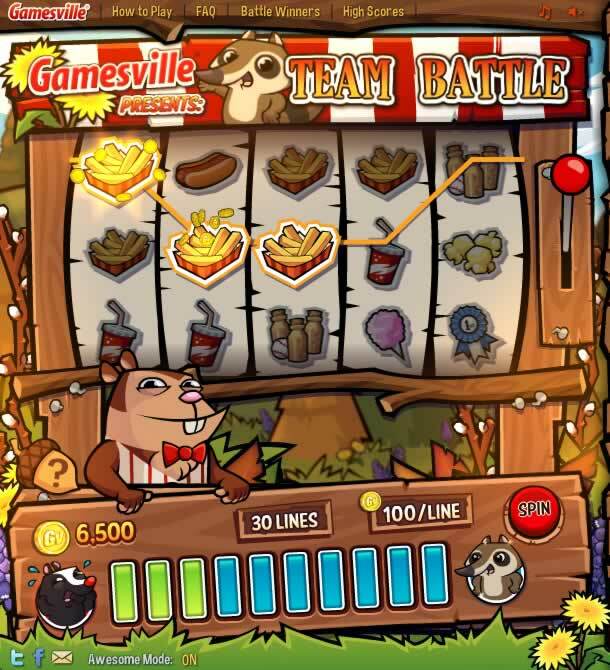 Your team's multiplier increases as your team earns GVs and at the end of each battle one person from each team will be selected as a bonus winner. Winning Team receives 20,000GVs, Losing Team receives 10,000GVs and if there is a Tie, bonus winners each get 15,000GVs. 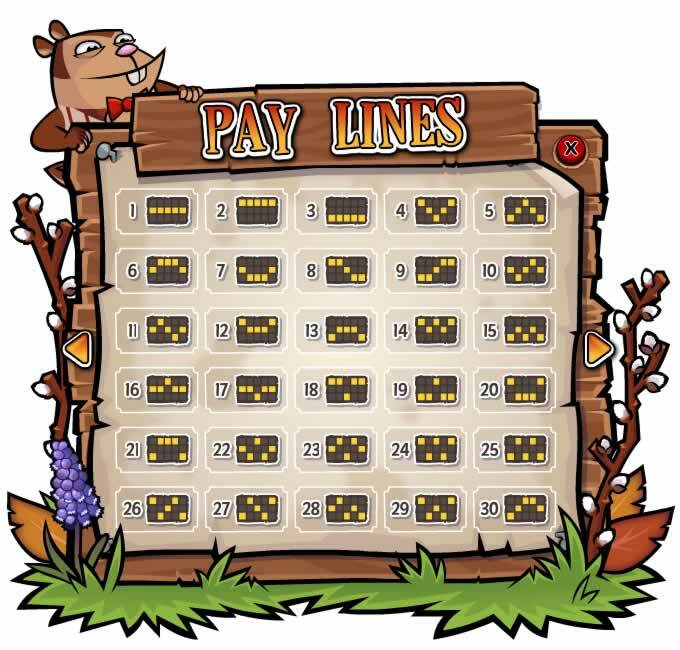 For reference, here are the Pay Lines used in Carnival Critters.